24 Limited edition postcards of British wild flowers. 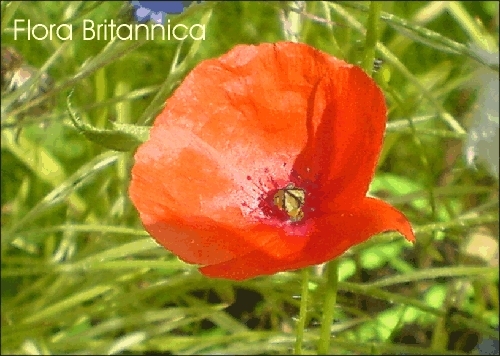 The image on these postcards is of a native field Poppy which is also the national symbol of rememberance. All 24 of the postcards in this set have the same wild flower image. 24 Limited edition postcards of British wild flowers. 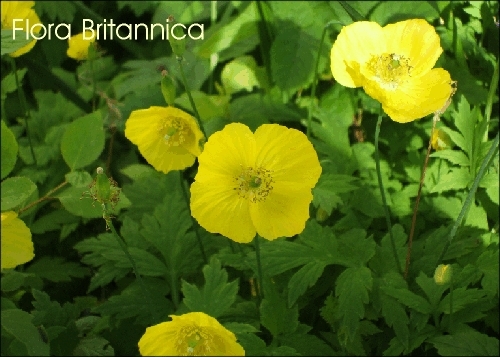 The Wild flower pictured on these postcards is Welsh Poppy (Meconopsis cambrica ). All 24 of the postcards in this set have the same wild flower image. 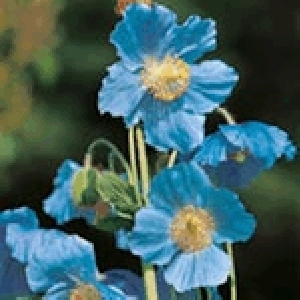 Breathtaking flowers with delicate poppy petals of bright Cambridge-blue surrounding golden anthers. Needs well-cultivated soil. Sow January-June under glass. Germination sporadic from 28 days. Flowers May-July the following year. Masses of large, double, pale lilac flowers on tall, strong stems. 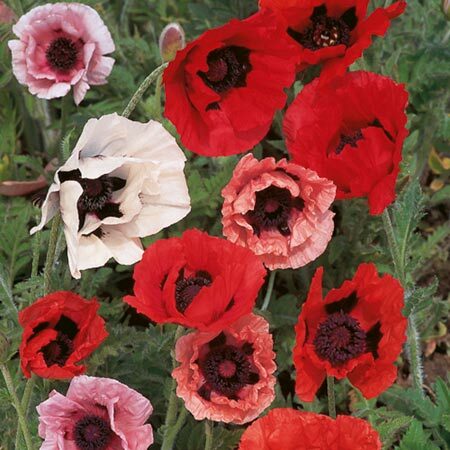 It's longer-blooming than most poppies, and produces attractive seed pods for drying. Height 90cm (3'). Hardy annual variety. 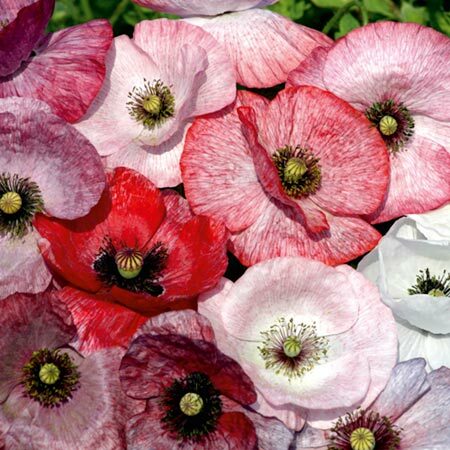 Easy-to-grow annual poppies, fluttering and swaying in the breeze, are the very essence of summer. Very attractive to bees and other beneficial insects. 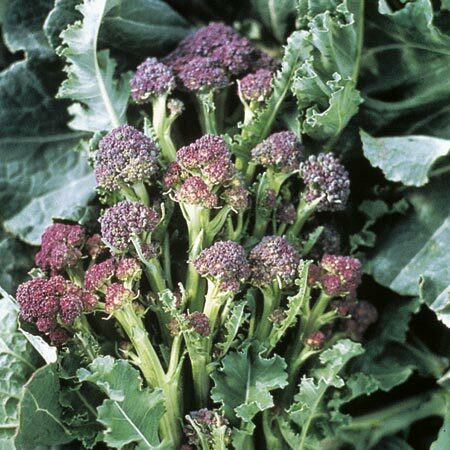 Try poppy seeds sprinkled on bread, cakes and biscuits. Culture: Sow March-May outdoors for flowers June-September, or September to bloom April-June the following year. Hints: Ideal for beds and borders. Prefers full sun. You'll fall in love with this breath-taking picotee-flowered mixture, in romantic shades of coral, salmon, pink, rose and white. 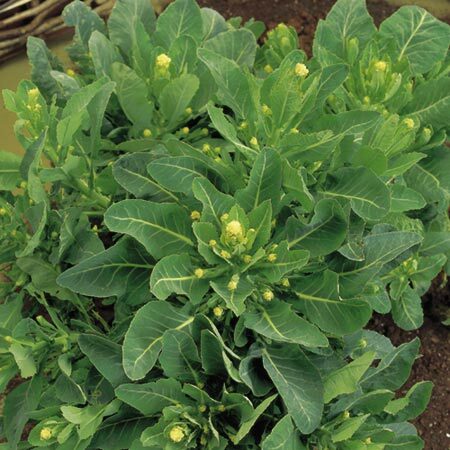 Blooms prolifically over a long period, making it an ideal border plant. HA - Hardy annual. Height 60-70cm (24-28"). 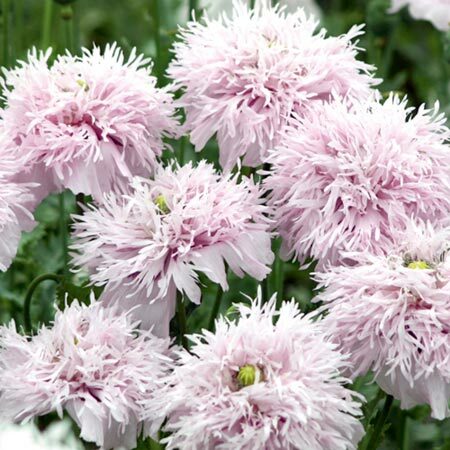 Strong-growing plants boasting pretty blooms in subtle shades from white to rose and pale pink, all with contrasting dark centres. Height 65cm (26"). Hardy annual variety. 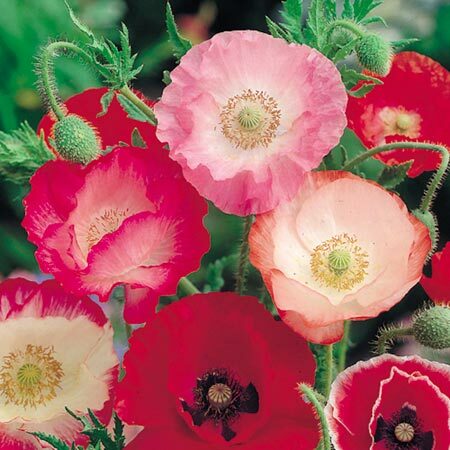 Easy-to-grow annual poppy, fluttering and swaying in the breeze, are the very essence of summer. 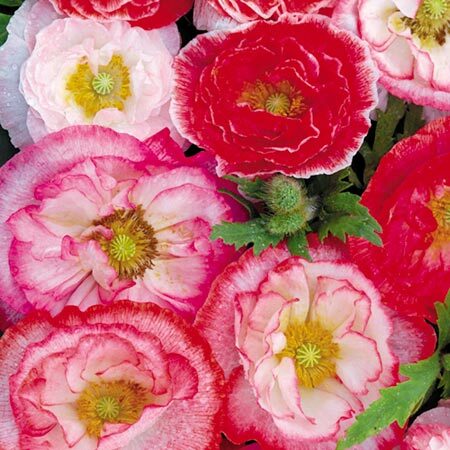 A breathtaking semi-dwarf mixture producing robust plants with red, orange, salmon, mauve, rose, pink and white flowers 15-20cm (6-8") across, all with a distinctive black centre. 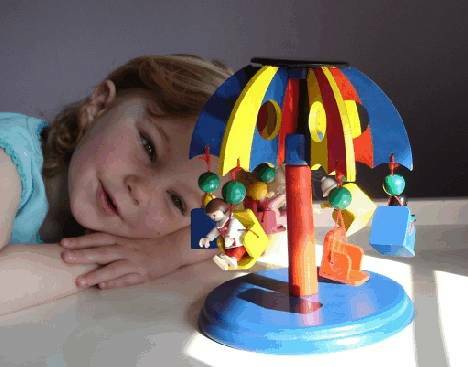 Height 50cm (20"). 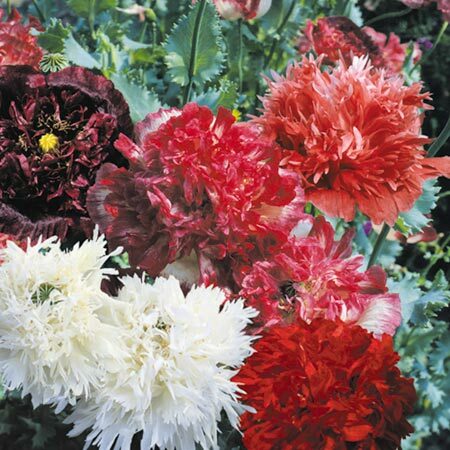 Five beautiful varieties of poppy. Swansdown - Snow white. Annual poppies, fluttering and swaying in the breeze, are the very essence of summer. HA - Hardy annual. Height 90cm (3'). Large flowers in brilliant colours. 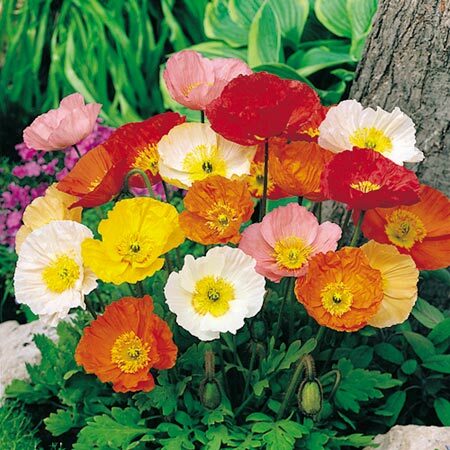 Easy to grow Annual Poppies, fluttering and swaying in the breeze, are the very essence of summer. HA - Hardy annual. Height 60cm (2').